Serving a six county region surrounding Elizabethton, TN, the Northeast Tennessee Reconnect Community joined the Network in 2016. 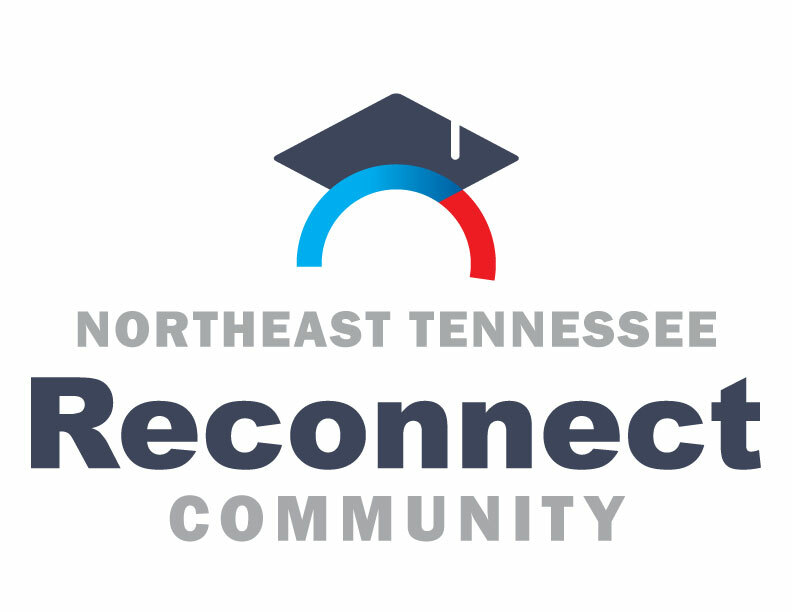 Northeast Tennessee Reconnect Community empowers adult Tennesseans to and through completion of a credible certificate or degree. We do this by partnering with local community based organizations, employers, local government and higher education institutions, with the promise of providing free, high-quality appreciative advising, career counseling, support, and a personalized path to and through college. Together we seek to make a positive generational impact through education, career readiness, workforce development, and economic growth by aligning existing resources, removing barriers, and creating new opportunities for adult Tennesseans. Our first Champions in east Tennessee were the Alliance for Business and Training and the American Job Centers. The goals of the Northeast Tennessee Reconnect Community are to: assist 400 Northeast Tennesseans to enroll and persist in post-secondary education by December 2017, with the ultimate outcome of completion, in order to help increase the percentage of working adults with a postsecondary degree or credential to at least 55% in Tennessee by the year 2025 in order to meet local and regional employer demands for highly skilled and educated workers; build a culture of adult college-going in the target counties; expand employment and educational opportunities for adults; and improve the economic base and quality of life for individuals, families, and the communities served. Our project is a part of the larger Drive to 55 initiative. While Northeast Tennessee is a beautiful place to live and work, it is the good people of this region that really make it an awesome place. Every adult Tennessean accesses high-quality advising, guiding them through open doors to post-secondary education once perceived as closed, ensuring long-term success for families, communities, and the entire state.